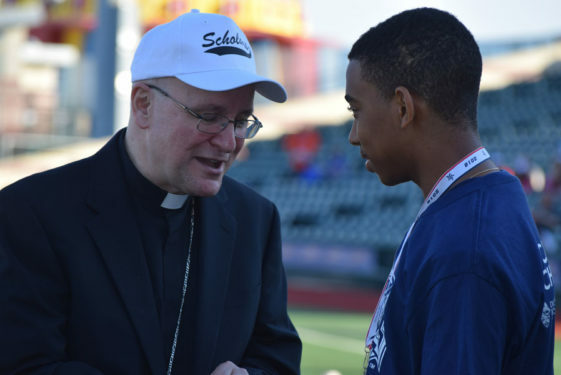 The Collars were the priests of the diocese and the Scholars represented the principals of Catholic schools in Brooklyn and Queens. 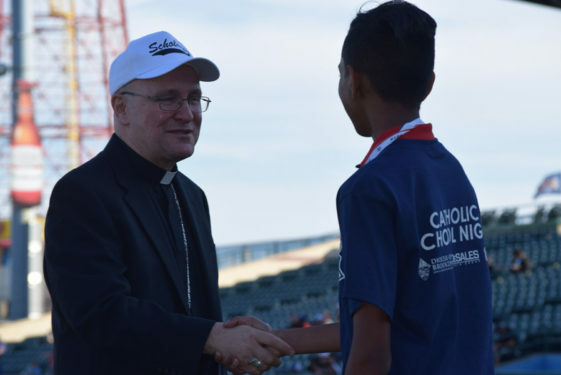 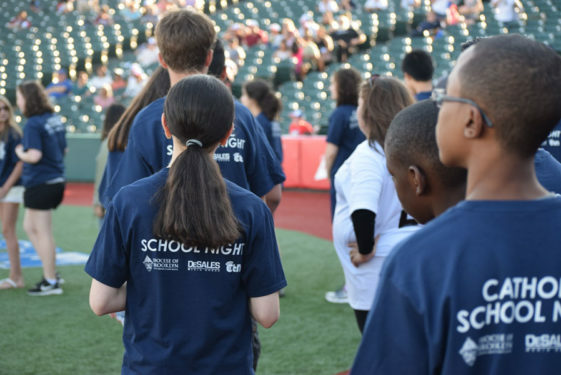 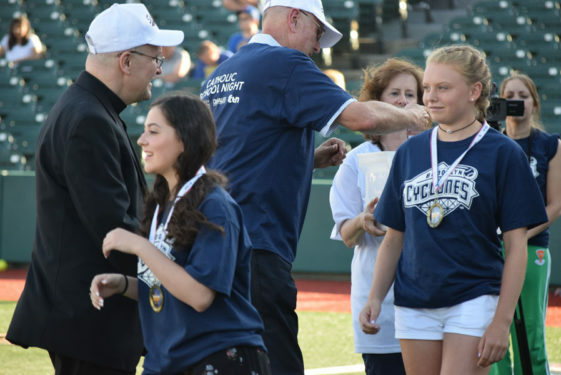 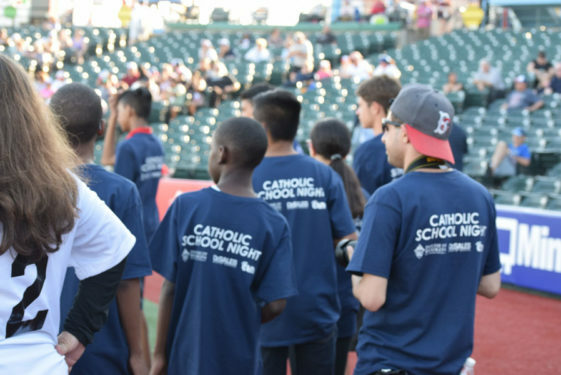 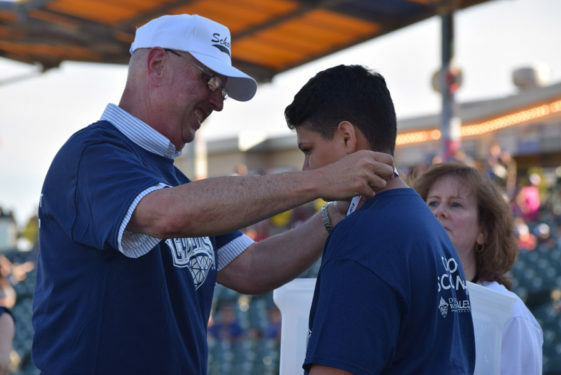 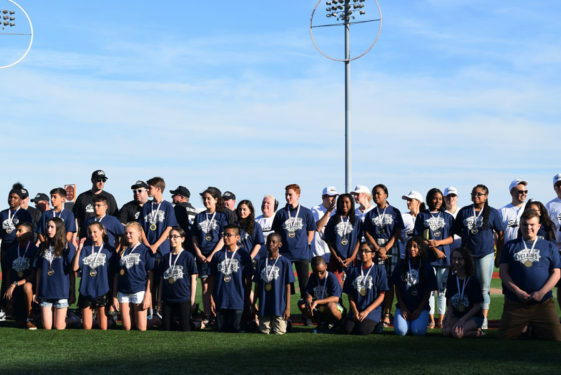 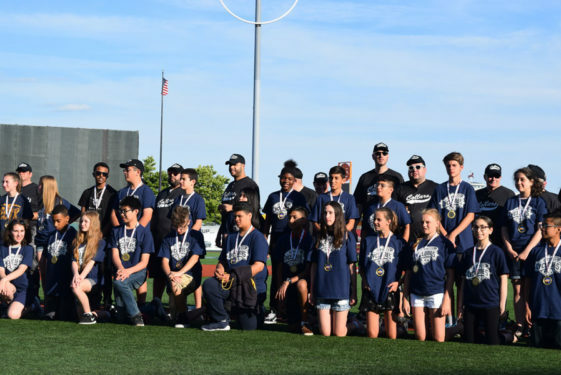 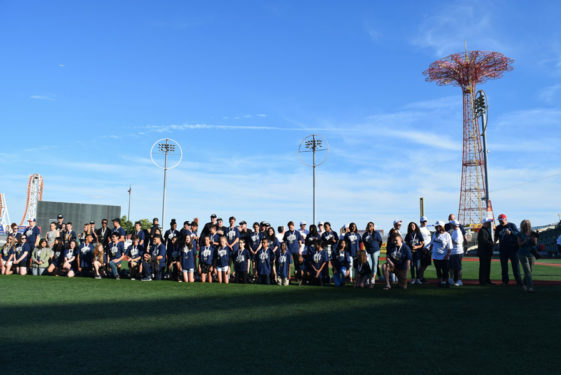 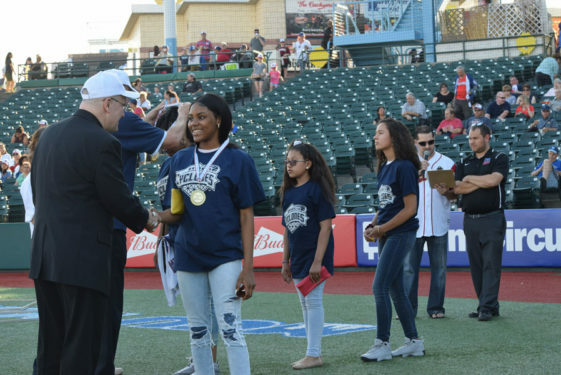 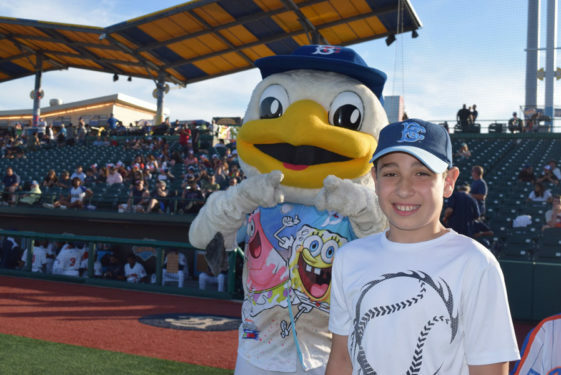 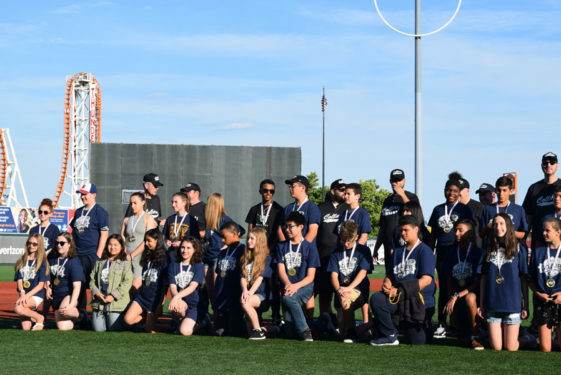 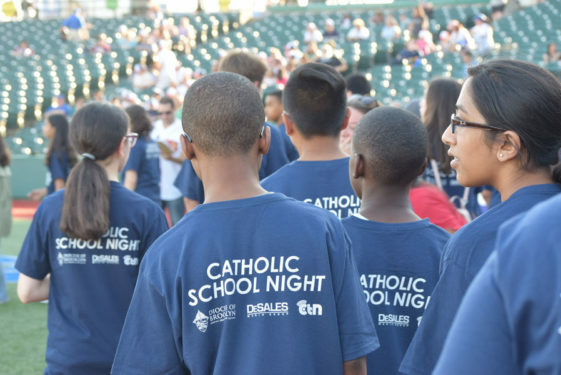 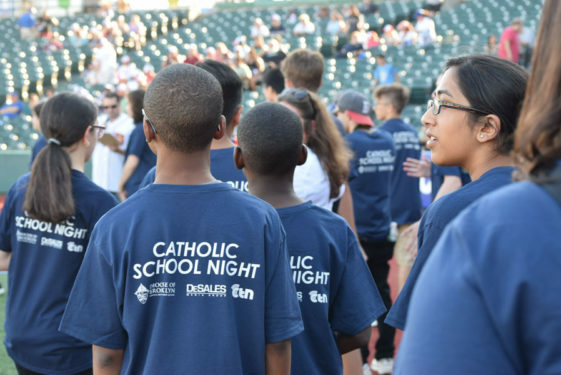 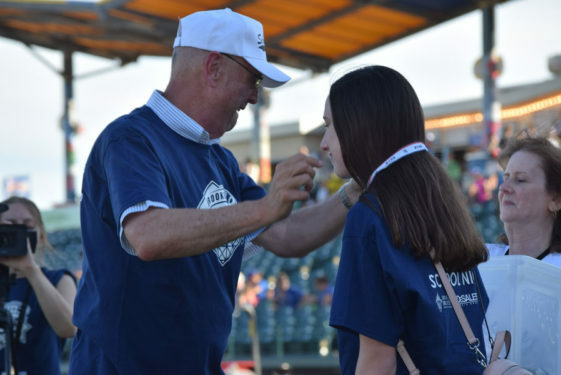 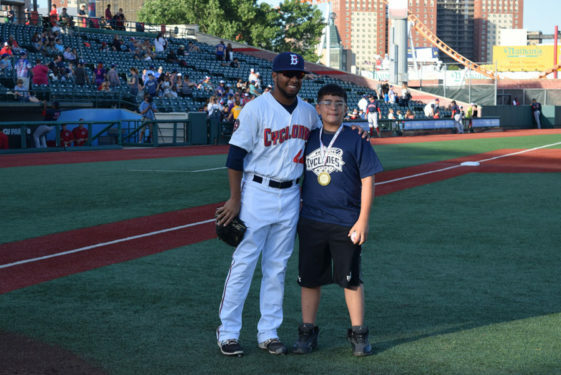 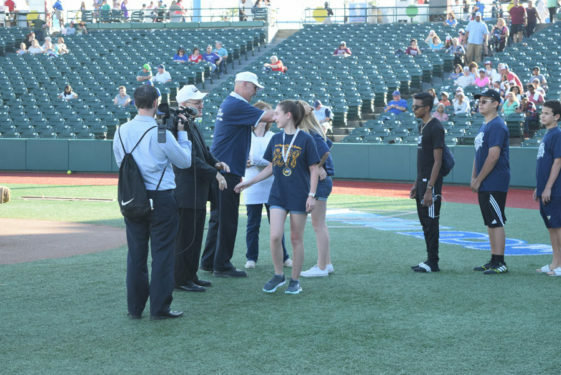 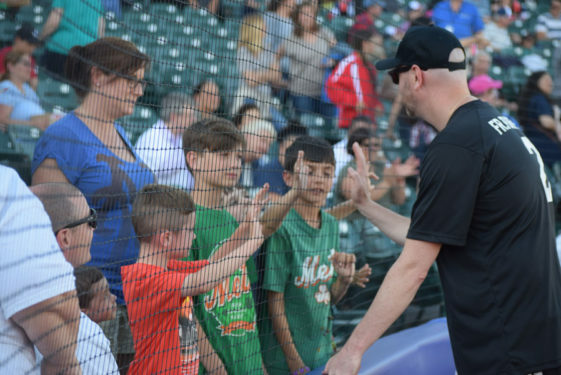 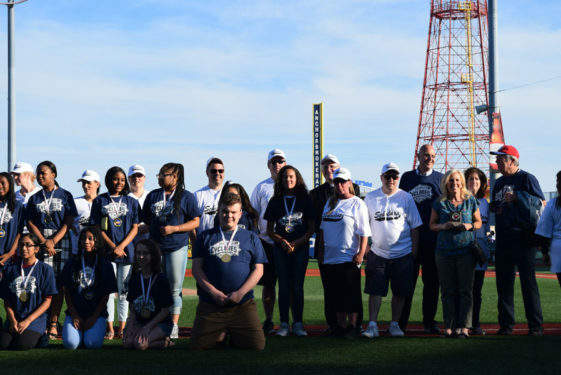 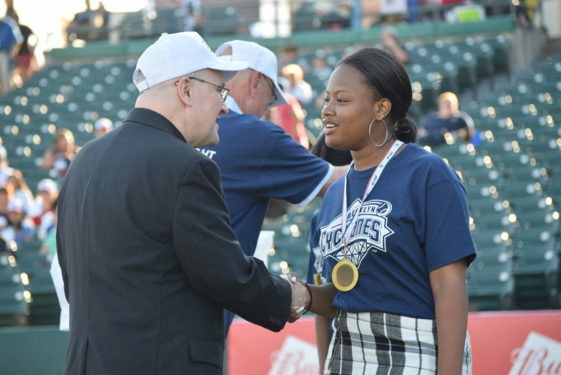 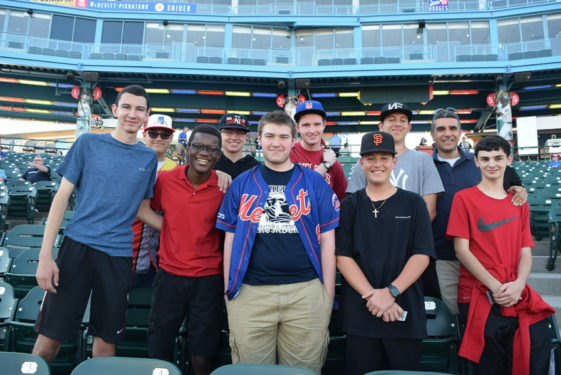 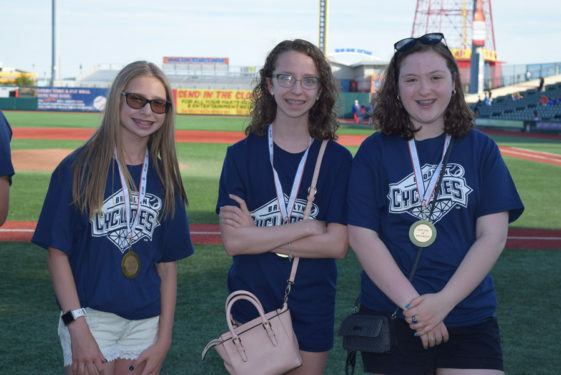 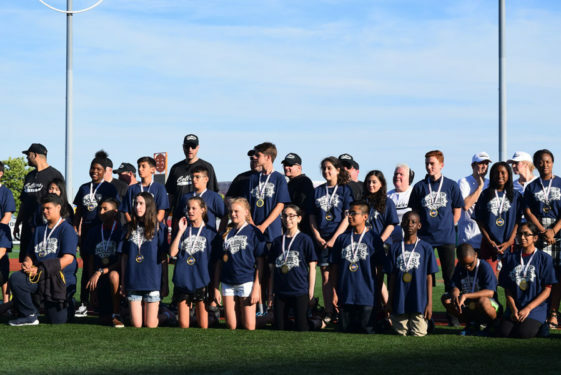 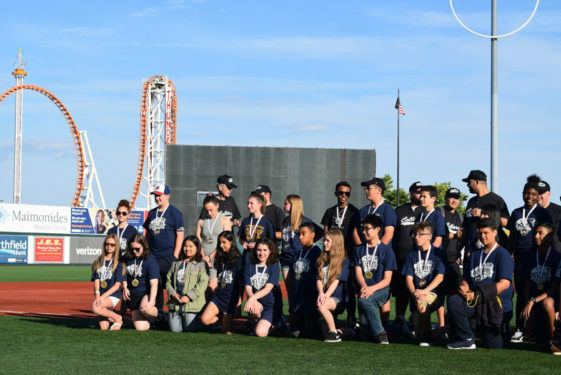 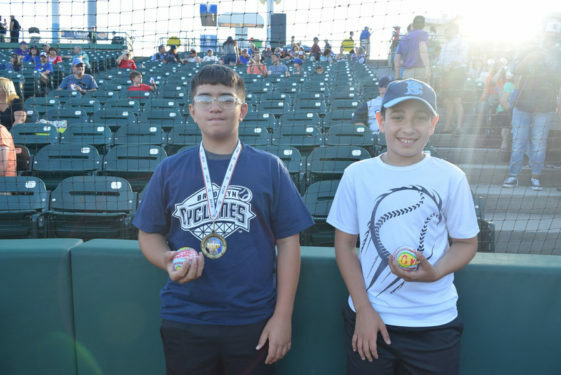 It was part of the celebration of Catholic Schools Night held prior to the Brooklyn Cyclones – Lowell Spinners match-up. 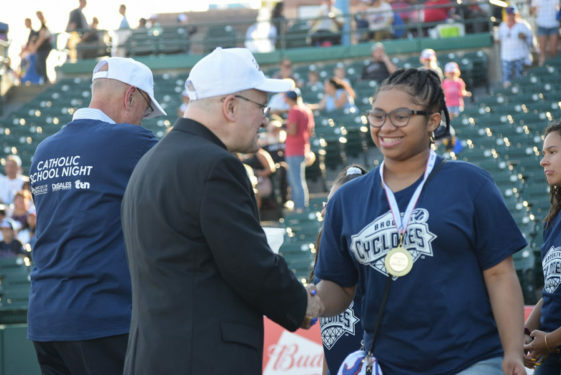 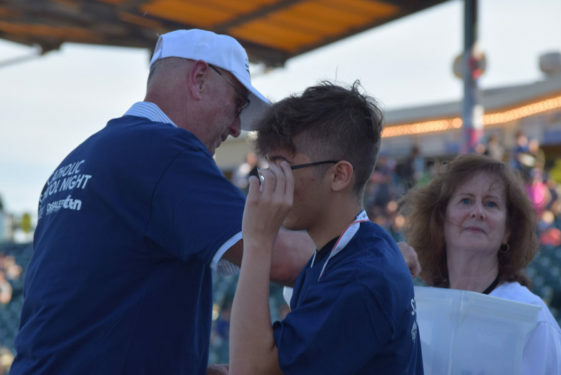 For the record, the Collars were victorious with a 5-3 walk-off win over the Scholars but the real winners of the evening were the 50 graduates who were on hand to receive valedictorian honors prior to the start of the baseball game. 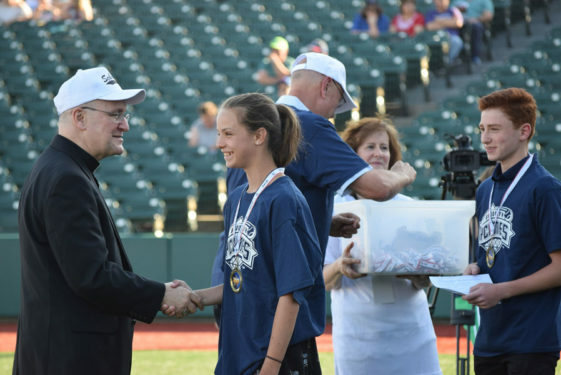 The evening was sponsored by the Cyclones and DeSales Media Group, the parent company of The Tablet – which is how I came to be the umpire. 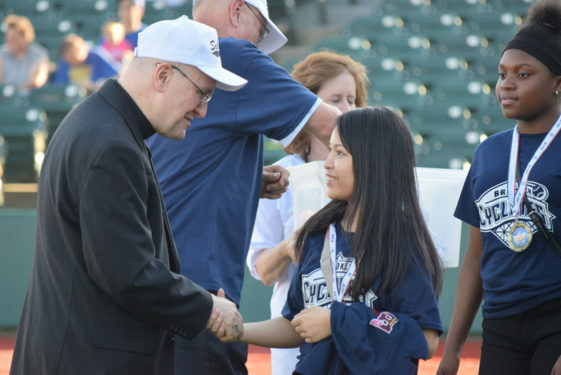 To be truthful, there weren’t many close calls and all the priests and principals managed to survive the three-inning contest. 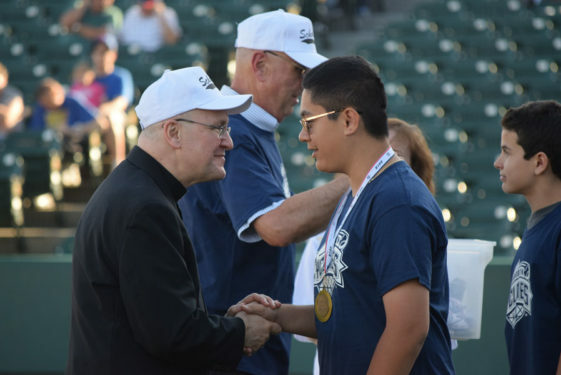 Deacon Jose Diaz, who will be ordained a priest on Saturday, June 30, celebrated by being the hero of the game as he clocked a home run to right center scoring Father Ed Kachurka in front of him. 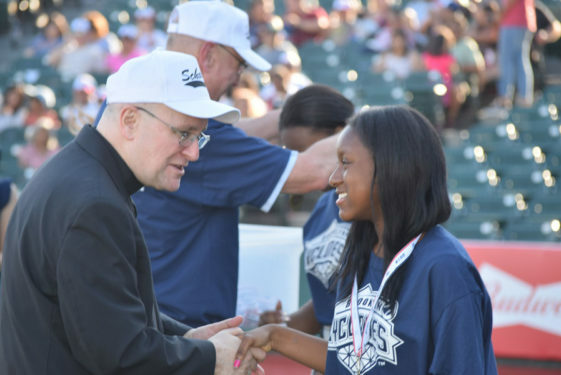 But most of the fans are still talking about the performance of Sister Shirlee Tremont, M.P.F., (St. Bernadette) a former Division I player at Temple, who stroked two hits in two appearances at the plate, knocking in two of the Scholars’ runs. 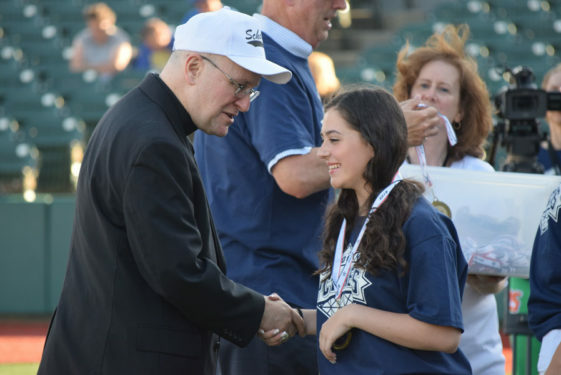 Father Ralph Edel (St. Francis Prep) was the winning pitcher after coming on in relief of Father Jim Kuroly (St. Rose of Lima, Rockaway Beach). 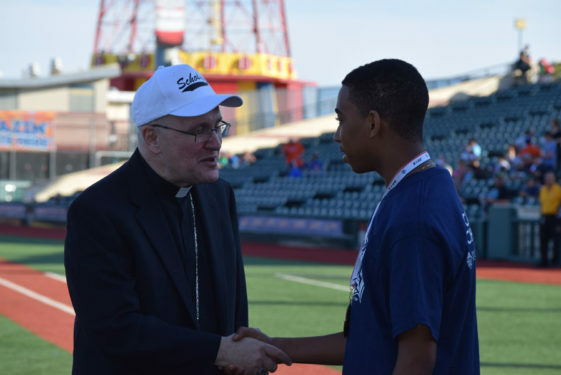 Christopher Scharbach (St. Francis de Sales) took the loss in a complete game outing. 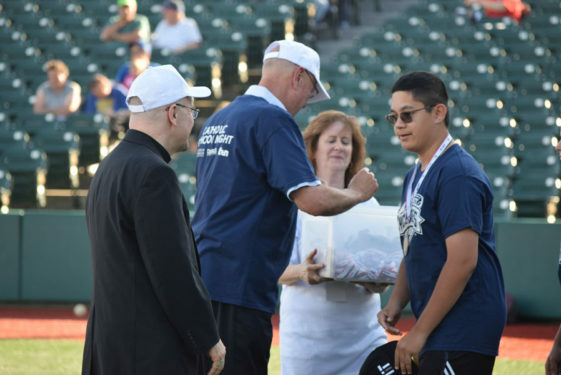 Also swinging mean bats for the clergy were Bishop Paul Sanchez (Our Lady Queen of Martyrs), who had a solid single to left field; Father Peter Purpura (St. James Cathedral), with a long home run, and Father Chris Bethge (Incarnation), who show off the form with which he starred at Cathedral Prep. 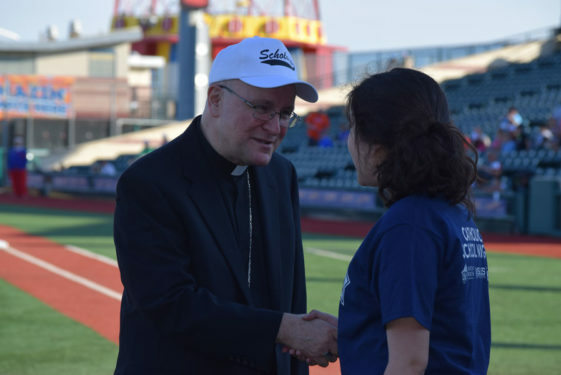 Father Lee also brought a cheering squad with about 50 parishioners and the pastor, Father Gerard Sauer, on hand from his Flushing church. 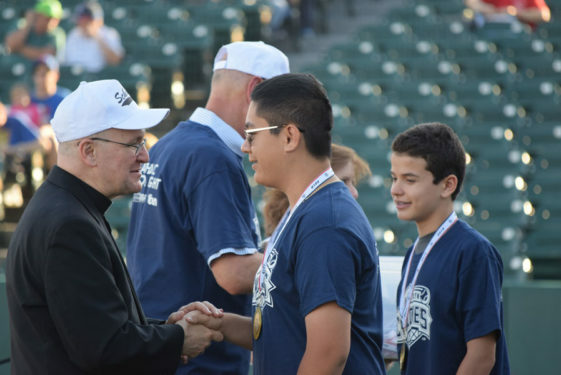 “It was great for Catholic schools and also for highlighting vocations,” added second baseman Father Kachurka, who said he hoped the game would resurrect the old Brooklyn Padres team that would get together to play a few years back. 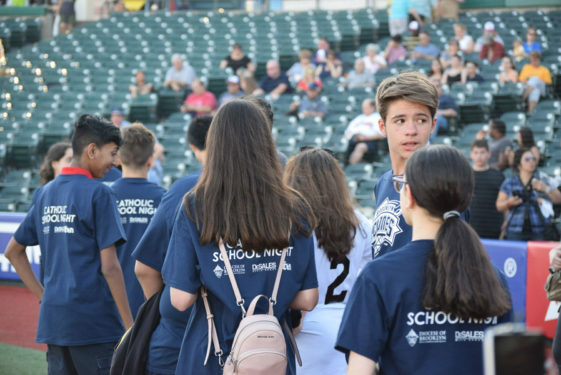 Principal Scharbach said that he hoped the game would become an annual classic. 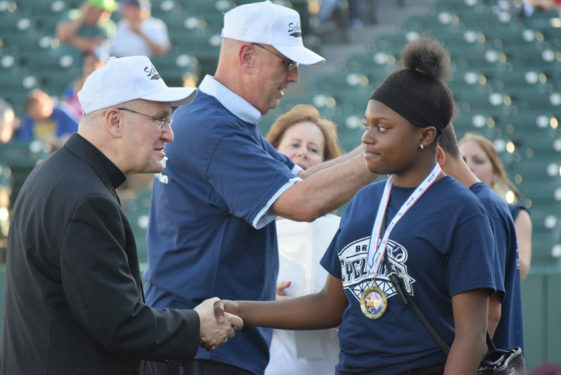 The Belle Harbor principal vowed that next time the principals would schedule a practice prior to the game as the clergymen had done. 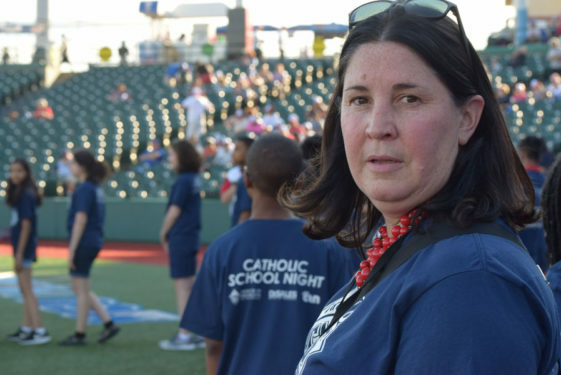 “I think the priests had more free time than the principals,” smiled Scharbach. 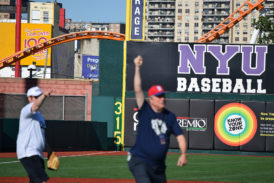 The trash talk had already begun.